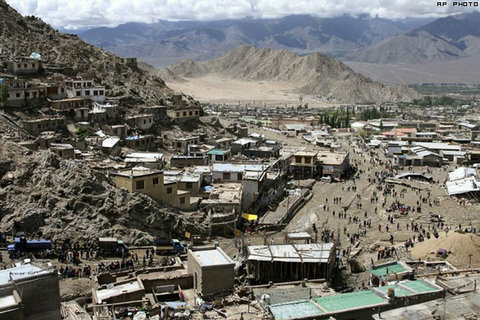 We are all aware of the colossal monsoon in the Indian sub-continent this year and the floods that have overtaken Pakistan, recently this tragedy has also overtaken the Indian principality of Ladakh. Like Bhutan this Himalayan area has kept its Buddhist roots and now its people are suffering more than I can imagine. Margaret at Rigul Trust has received the following message from Khenpo Rangdol, a native of Ladakh who is appealing for our assistance. Rigul Trust are sending aid and I am posting his message unedited. I hope you are doing well. 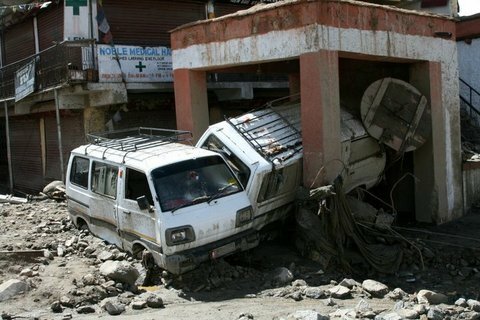 I am not very happy to share this news, there was flood disaster happen in Ladakh everywhere. I hope you aware that hundreds of people lost their precious life and belongings and hundreds of people lost their home. First let me express that you are so kind person and compassionate to help anywhere, anytime, to anybody. I really rejoice to your noble deeds and I am sure all these positive activities will bring lots of benefit to everywhere. Those kinds of activities are really something so practical. I always tell to people that one must do things practically rather than keep saying. That is one of the main teachings of Buddha. 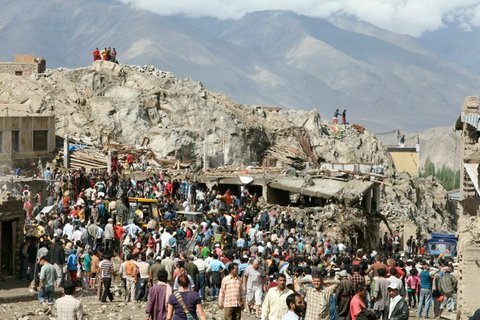 Our project is trying collect donation for Ladakh disaster and from everywhere. As you have good link with people it would be so kind if you also could do some fundraise for this disaster that would be very benefit for those people. Our society is registered in 1989 and recently we got FCR means legally we allow to receive donations from foreign country. We have been helping many social ways such as finding sponsors for poor children and old age people. Restore old building and planting many trees for environments issue and etc. Here I am forwarding our brochure there you can see all our activities and bank account in details. Currently, I am the president of our society and you can contact me if you need further requirements. Actually, I like to go to Ladakh but I can’t go now because of the summer retreat. I am thinking to go there after the summer retreat and whatever donations we get will be distributed. Today I got a call from a friend of mine from Ladakh and he did say that they really need lots of help from all over the world. Please mark donations – ‘Ladakh flood relief’. This entry was posted on August 18, 2010 at 7:27 pm and is filed under Appeals, HH Karmapa. You can follow any responses to this entry through the RSS 2.0 feed. You can leave a response, or trackback from your own site.